Conquest! Medieval War Game Lore Overview - Conquest! The realm of Conquest! is filled with many wonders: Artifacts, Heroes, Magical Items. 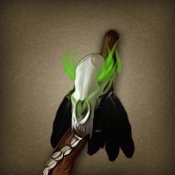 Artifacts and Heroes can be found by visiting the mystic, who may reveal the location of the artifact or name of the hero. Magical items can be found by questing for them or purchasing from the port city. Bonuses to troops are cumulative. The Secret City on England sells rare goods and can only be found by visiting taverns on England. During your visit, you may be rewarded with one of the letters that makes up the name. Once you have all of them and put them together in the correct order you can travel there. The Magic City is Jason on Normandy. Mages located here receive a small movement point discount when casting spells. The Anti-Magic City is Limerick on Ireland. Upon entering this city, all magical items crumble to dust and you are immune from the effects of spells while here. You may not cast spells while located here, however. 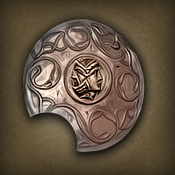 There are 18 artifacts scattered throughout the realm of Conquest! Each artifact can be owned by just one player and is found by first locating the city the artifact is near and then the specific location; both of these can be found by visiting the mystic. There is a chance you can steal an artifact if you defeat a player with one. Grants a large bonus to food production each Season. Grants a large bonus to ranged troops and prevents misfires. If held by a Ranger further troop bonuses are granted. 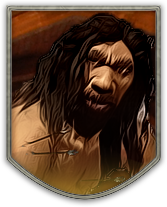 ​Grants a large amount of gold per Season. This effect is amplified with the Alchemist. Grants a large bonus to melee troops. If held by a Fighter further troop bonuses are granted. 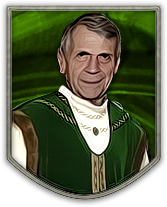 Prevents other players from spying on you by any means except divination. Your spies always succeed and have a chance to poison another's kingdom. Also increases the chances of espionage. Prevents you from attacking or being attacked; automatically dropped at the next New Year. Grants a large bonus to saving throws vs. magic. If held by a Mage spells 1 level higher can be cast and further troop bonuses are granted. Grants reinforcements each battle. If held by a Barbarian reinforcements are always large and further troop bonuses are granted. Good fortune for your kingdoms and you ignore honor requirements for promotions. If held by a Cleric further troop bonuses are granted. Promote and receive gold and peasants each Season. Once you reach the highest level your player will be eliminated! Grants a large bonus to flying troops. Traveling between cities is free and you can enter or leave locked cities. Grants additional movement points and attacks each Season. Troops receive additional attacks in combat. ​Prevents all magic against you but you cannot cast spells or use magical items. Grants a large bonus to cavalry. Also summons troops each Season when not used with Undead troops. Grants reinforcements and a large bonus to all troops when defending. Grants a large bonus to all troops. Clerics or Mages receive reinforcements each battle. Drains movement points from another when you defeat them in battle. Prevents another's reinforcements from entering the battle. Troops on your active continent require no food upkeep. There are 22 heroes available for hire. Some heroes can only be hired by certain classes. Heroes can be killed in battle, but will be resurrected automatically in a few days. 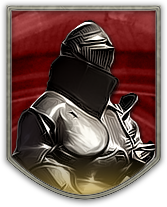 He grants bonuses to all troops and if employed by a Fighter he attracts Knights to your kingdom each Season. Paired with the Sword of Power further troop bonuses are granted. He will cast offensive spells when you attack. With a Mage and the Staff of the Magi further troop bonuses are granted. 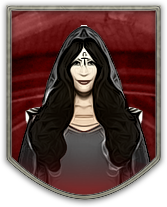 She retains some of her divine gifts and will use a defensive skill after each battle. He claims free land and creates additional food and peasants each Season. Enlisted peasants receive combat bonuses. He grants an augmented ship when hired and summons reinforcements during attacks. 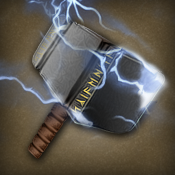 Paired with a Barbarian and Thor's Hammer further troop bonuses are granted. He will summon reinforcements each battle and allows you to seek the Vampire. Paired with a Ranger and the Bow of Might further troop bonuses are granted. You may capture enemy structures without siege and he grants those weapons bonuses. Sailing costs 50% less but he may slaughter some troops each Season. He can break alliances during attacks and grants a bonus to espionage and spying, augmenting the Dagger of Venom. 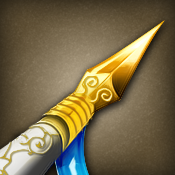 He can assassinate other heroes during battle and allows you to take more gold. He grants bonuses to Signature Troops and these troops are attracted to your army each Season. He will train your troops for free. He will cast offensive spells when you attack and may corrupt food once battles are over. He wants nothing more than to serve a Master Vampire and will change your class automatically. He will create magical items or his research will uncover secrets each Season. 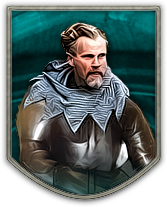 His proficiency with alchemy can increase the number of attacks your troops have during battle. His speechcraft skills will prevent demotions. If combat should occur he will coerce reinforcements from random alliances to aid you. ​He creates a disguise for you each attack and protects you from all dark magic. He may cast offensive spells when you attack and grants you the ability to cast spells as a Mage half your level. 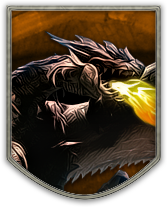 The Dragon claims gold from each battle you win. Your army will transformed into Undead, which require no food and can be animated anywhere. If he is killed or released your troops will crumble to dust. 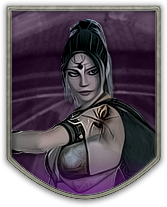 She steals attacks from other players when attacking and grants you the ability to loot cities as a Barbarian. He will cause enemy troops to attack each other, freeze in terror, or immediately retreat during attacks. Each battle he claims peasants for his dark rituals. 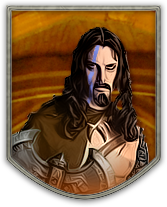 He will enlist reinforcements to aid you each attack but will take a large amount of gold won each battle. He allows you to buy goods tax-free and has a chance to lower the price by 50%. As others purchase goods there is a chance their taxes will be added to your coffers. 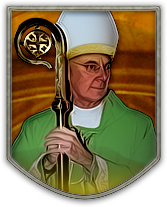 He will summon reinforcements to aid you in battle and prevents excommunication. You may also seek the Vampire but must tithe gold each Season. He grants large bonuses to all troops and may cast Meteor Storm during attacks. If he is killed or released 20-50% of your Structures will be consumed. 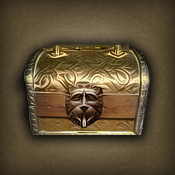 There are 50 magical items, which are obtained through questing or purchasing from another player. Items can also be taken when eliminating a player. Chaos Device prevents you from attacking or being attacked. Uses equals number of Seasons. Eye of the Oracle allows you to spy without fail or detection. Potion of Speed grants a small amount of movement points. Stone of the gods grants a small amount of movement points, goods, and troops. Orb of Safety restores your protection from attacks. Golden Cow grants a small amount of food. Trumpet of the Emperor grants a small number of Imperial Guards for your army. Fighters only. Magic Carpet allows safe travel between cities. Sceptre of Death eliminates your player! Potion of Endurance grants additional attacks. Magic Quiver grants a small number of ranged troops for your army. Builder's Tools grants a small amount of siege for your army. Axe of Despair infects your kingdom with sickness. May activate during Seasons! Thieves Tools allows you to steal gold from cities. Cannot be used by Clerics. Lure of the Vulture displays your kingdom stats to the world. Mask of the Undead masks your true name during your next battle. Wand of Fire casts the spell Fireball on another player. Dust of Blinking transports a player to a random city. Toy Boat creates a ship for your fleet. Sun Blade grants a small bonus to infantry each battle. Amulet of Animal Summoning summon animal reinforcements for your next battle. Chance of failure. 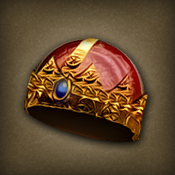 Ring of Limited Wishes allows you to wish for unclaimed land or goods. Pouch of Everful Components grants one of each spell component. Mages only. Gauntlets of Fumbling grants a small penalty to all troops each battle. Bag of Tricks generates a random effect. May be harmful! Bag of Holding prevents you from being robbed during travel. Tome of Unholy Wrath summons a monster army to attack you. May activate during Seasons! Siren's Call chance to lose a ship while sailing. Letter of Marque prevents pirates from attacking while sailing. Banner of the War Lord grants a small bonus to cavalry each battle. 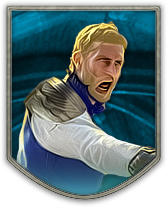 Shield of the Wind all troops receive resistance to ranged attacks for your next battle. White Flag of Cowardice exchange 1 attack for 1 defense lost. Lowers honor. Emblem of the gods summons Immortal reinforcements for your next attack. Boulder of the Giant chance to smash open locked city gates. Vampire's Cowl drains a level from another player. Vial of Poison causes a plague to affect another player. Wart of the Vile removes all troop bonuses and penalties, including weather. Drums of Panic a small number of enemy troops flee during your attacks. 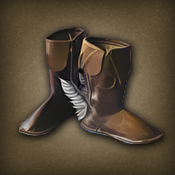 Boots of Dancing double the cost of traveling by land. Scroll of Dispel Magic equal chance to destroy another's magical items or yours. Manual of Skills allows you to class change at any level. Only available if you survive to end of Age. Potion of Cure Disease removes sickness from your kingdom and cures poison. Prayer Book grants a large bonus to honor. Robe of Vermin attracts locusts to your kingdom each Season. Potion of Invisibility prevents you from being seen in population lists and taverns until next Season. 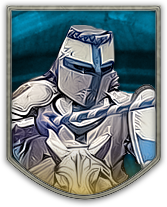 Bracers of Defense grants a bonus to all troops in the Defense army. Lens of Detection grants a bonus to finding other magical items. Rogue's Dice win the next game of dice you play at the tavern. Horn of Fog masks the outcomes of your attacks. Stone of Weight prevents and land or sea travel. Royal Crest allows you to change your name.